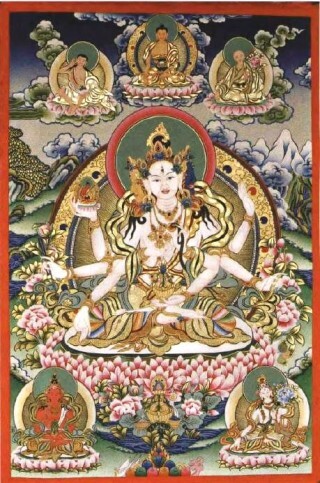 Namgyälma is a deity for long life and purification. The mantra has infinite benefits; it is so powerful. It is said that for anyone who hears this mantra, this will be the last time that person is born in the womb. If animals hear it, they will not be reborn in the lower realms. The kind and compassionate Guru Shakyamuni Buddha taught the benefits of reciting the Namgyälma mantra to the four guardians. 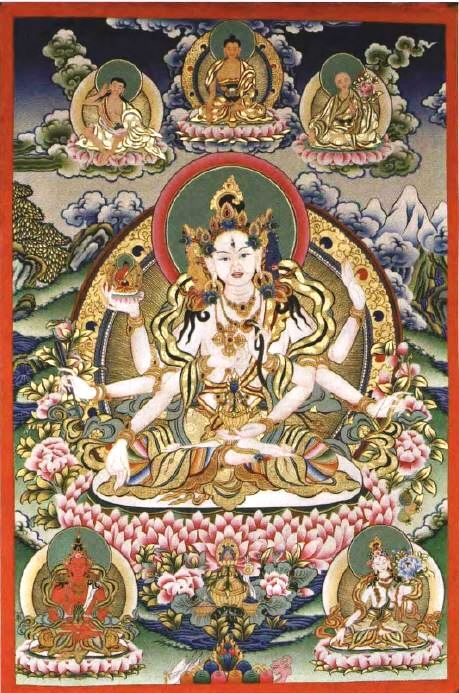 If you wash the body, wear clean clothes and, while living in the eight precepts, recite the mantra 1,000 times, even if you are in danger of death due to the lifespan accorded by past karma finishing, your lifespan can be prolonged, the obscurations are purified, and you are freed from disease.